The world-famous Cologne Cathedral (Kölner Dom), with its 157 meter towers, makes the charming, multicultural Rhine city of Cologne so unique. Discover and enjoy the most beautiful landmarks and interesting nooks of Cologne with our chauffeur service. 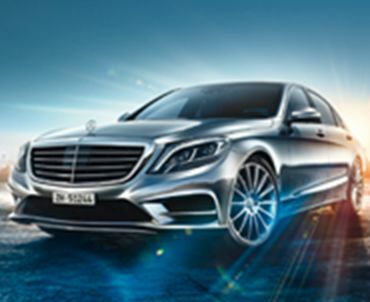 We'll be happy to send a limousine to Cologne airport with a chauffeur to meet you. If you decide to book our services on an hourly basis, we can put a Cologne limousine tour package together for you. Care to go shopping in one of the many fashion boutiques, relax at the Cologne riverside near its old town district or discover the many landmarks dating back to Roman times? We are at your service. Experience the famous Rhineland humor with a Kölsch beer and food in one of the many pubs and restaurants in the Cologne Altstadt, or go to the theater. Without a doubt, an unforgettable experience awaits you in Cologne. Professionalism, comfort and safety await you in our chauffeured limousines. Our services include transfers from A to B and hourly hire. We cater to your every need. Modern business class vehicles and stylish first-class limousines as well as spacious minivans are available for individual or group transportation. If you are traveling by plane to Cologne or departing via the airport, we offer our reliable airport transportation service. If you, like many business people, are only in Cologne for a few hours but want to make the most of your time there during your trip, then an hourly hire is your best option. Your driver will remain at your disposal as long as needed. TOP-ALLIANCE’ Customer Care Center makes it possible for you to book 24 hours a day, 7 days a week, 365 days a year by phone or email. You have two booking options: transfers or hourly hire. Transfers include trips from A to B, such as to and/or from the airport. If you choose an hourly hire, your driver is dedicated. This option is best-suited for city tours or events. Just give us the number of persons, pickup and drop-off location and times as well as your desired vehicle model, we'll handle the rest. We accept credit cards, bank transfers, or we can invoice you. Let our friendly and professional service team handle all of your questions. TOP ALLIANCE – Your Airport and City Service.Services in the listed cities are provided by TOP-ALLIANCE and/or our partners.